The mission of the UCLA Center for Community Learning is to promote civic engagement for undergraduates and faculty through the integration of teaching, research and service. In collaboration with academic departments, the Center supports courses and programs that stress the importance of global citizenship, diversity, leadership and social justice. The Center strives to make community learning a cornerstone of undergraduate education, through ongoing partnerships with community-based organizations. Connect UCLA undergraduates with the diverse communities of Los Angeles through meaningful, interdisciplinary work that emphasizes academic excellence within undergraduate education. Train, supervise and mentor graduate students for future careers in academia, university/community partnerships and engaged scholarship. 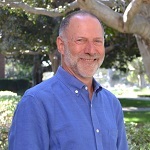 Shalom Staub, Director of UCLA’s Center for Community Learning, joined the Center staff in September 2018. Prior to arriving to Los Angeles, Shalom was Associate Provost for Academic Affairs and Civic Engagement at Dickinson College. Over his 14 years at Dickinson, he closely worked with the faculty to develop a civic learning and community-engagement program that was embedded in the curriculum spanning the arts, humanities, social sciences and natural sciences. While at Dickinson College, he created Dickinson’s Conflict Resolution Resource Services program, offering conflict coaching, mediation, group facilitation, and conflict skills education to the campus community. Shalom’s work at Dickinson in community engaged research and teaching/learning was recognized by Harvard University’s Pluralism Project and by the Forum on Education Abroad with the 2014 Award for Excellence in Curriculum Design. Shalom holds B.A. and M.A. degrees in anthropology from Wesleyan University and a Ph.D. in Folklore and Folklife from the University of Pennsylvania. Elizabeth Goodhue, Associate Director for Engaged Teaching, oversees community-engaged curriculum development across campus by collaborating with community organizations and academic departments to develop service learning and internship courses. She also facilitates community-engaged pedagogy workshops for faculty, manages the center’s professional development initiatives for graduate students, and directs academic internships for the center. She regularly teaches service-learning courses on children’s literature and childhood literacy and on public humanities theory and practice. Elizabeth received her B.A. in English and Creative Writing from the University of Arizona before going on to earn a Ph.D. in English from UCLA. During graduate study, she received the Charles E. and Sue K. Young Award for outstanding teaching, research, and service. 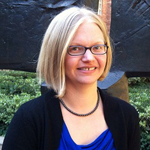 She is the author of articles on service learning pedagogy, with colleagues from the Imagining America public humanities consortium, of an essay on the role of academic administrators as intermediaries between university and community stakeholders. Most recently, she contributed an essay to the collection Service Learning and Literary Studies in English (MLA 2015). Douglas Barrera, Associate Director for Engaged Research, oversees the Civic Engagement minor and the Astin Civic Engagement Research program, teaches classes in the Civic Engagement subject area, and conducts research and assessment for the center. His research agenda includes examinations of student critical consciousness development that emerges through different models of community-based learning, and the motivations among community partners to participate in institutional civic engagement initiatives. 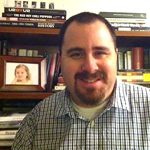 Doug has published articles and chapters on student development, critical service learning, and community-campus partnerships, and is co-author of the Council of Europe publication, Advancing Democratic Practice: A Self-Assessment Guide for Higher Education. He serves on the editorial board for Collaborations: A Journal of Community-Based Research and Practice, and is a member of the program board of directors for a social service agency in Los Angeles. Before coming to UCLA, he was program director for a non-profit community organizing agency in San Diego, and taught methods of community engagement at U.C. San Diego and the University of San Diego. he received his Ph.D. and an M.A. in Education from UCLA, and an M.A. and B.A. in History from San Diego State University. 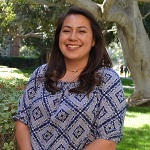 Jasmin Salas oversees the Jumpstart program at UCLA after having served 2 years as Corps Member and Team Leader herself from 2014-2016. 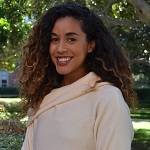 Jasmin transferred to UCLA from Los Angeles Pierce College and received her B.A in Anthropology and a minor in Education Studies, with an interest in studying the connection between service learning and student development. After graduating, Jasmin served an additional AmeriCorps service year as Jumpstart’s Community Engagement Coordinator in Southern California, planning resource fairs for young children and recruiting volunteers to serve their community. April Nunn co-manages the Jumpstart program at UCLA. Before coming to UCLA Jumpstart, April attended the University of Pennsylvania where she received her B.A in Urban Studies and Political Science. During college, April ran and participated multiple youth mentoring programs in West Philadelphia and South Africa. After graduating, she taught in St. Louis and then returned to her hometown of Los Angeles to get her Masters in Social Work at the University of Southern California.